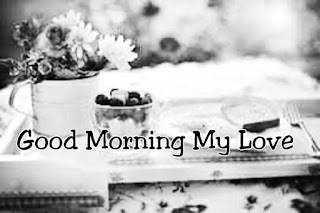 Good Morning Text Messages for Him or Her, sweet good morning messages for girlfriend or boyfriend, cute romantic good morning love letters. The morning is the most perfect part of the day. Not because you just have a soothing night rest but cos you have a new day to let your boyfriend or girlfriend, him or him, husband or wife know what you feel for them. The morning is more beautiful when you drop some Good morning text messages on the inbox of your lover (Him or her, Boyfriend or girlfriend) check out this cute ones. Remember, we all live to be loved, so share the love each cute morning you wake up. Sweet Good Morning Messages for your Boyfriend1. The morning is special, so as you. My precious jewel. I can’t wait to have you in my arms today. 2. Every morning is a blessing with you. I am ready for the day’s task knowing that you love me. 3. Saying good morning to the special person in my life is one of the things I love doing, so Good morning my love. 4. When you need me, I’m just at the beck of your call. 5. The thought of you every morning gives me joy. 6. I wish you loads of luck today as you open your eyes to the beautiful rays of lights. I love you as long as the sun light up the earth. 7. Even if I never had the chance to tell you goodnight before you sleep. I know I can type ‘Good morning’ to you this moment. 8. Lighten your mind with soul music, smile up with this good morning message, and always know that I love and will always have you in my mind. 9. Every morning is a new day to love, a fresh page to write on and a wonderful time to share your feelings. 10. Each time I say ‘I Love You’ believe me, I mean every word of it. 11. My day is completed each time I think of you. 12. Each morning I wake up, you are in my mind. 13. You come to my mind each time I wake up. 14. You bring the sun in my mornings. 15. Having sweet dreams of love with you last night, I can’t wait to continue this dream in reality. You’re my world, I can’t help but love you. 16. There is no where in the world I want to be than beside you. That’s why you should wake up to this beautiful morning and let’s keep loving. 17. After reminiscing on the love and encouragement you’ve given me so far. 18. If I can’t return all the care you have given to me. I can as well tell you how much I am in love with you. 19. You are a blessing to my life, you bring so much happiness to my heart that no one has ever done. 20. You are the light that makes my heart glow. I can’t wait for you to wake up and be with me. 21. Have anyone ever told you how special you are? 22. Life without you is unimaginable. 23. Your love and encouragement keeps me going during the day. 24. Never had something as precious as you, I can’t stop loving you, my sweet loving boo. 25. Never worry about anything as its all sorted out with the rise of the sun and buried with the dawn. 26. I will love you unconditionally and wholeheartedly like its my last. I will let you know how much I love every morning I share with you. Good morning to the ruler of my heart. 27. You remain my special dream that came true. Falling in love with you wasn’t luck. It was meant to be my dear. 28. 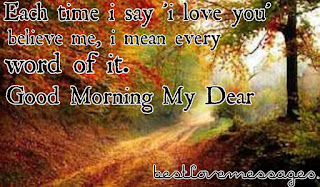 Each morning, I will show you how much I love you by sending you messages from my heart. 29. There is always a beauty behind everything. 30. There is something about you that fascinates me. I feel I should let you know that your love fascinates me and makes me eager to see you this new day. 31. There are a thousand ways to say ‘I Love You’. But the sweetest way of saying it, is sending you a Good Morning kiss. 32. Every morning will be the moment to show how much you’re worth to me. Good Morning my sweetheart and have a wonderful day ahead. 33. Open your eyes to the new day with smile. Embrace the Happiness and Air the sun rise brings. I love you my jewel. Have a great day. Good Morning baby. 34. Open your eyes and keep that smile on your face. I am always on your side each moment to show you just how much you mean to me. 35. I wish for the special day I will wake up to see your face first, kiss and hug you before leaving the bed every morning. Until that special day, here are a thousand Good Morning Kiss. 36. Every morning I wake up to thank you, my love for making my life sweet. 37. Your smile makes my day. Your happiness warms my heart. A very Good Morning to my love. 38. I am sending a good morning kiss to warm you up. A good morning kiss to keep you smiling and a good morning wish to have a great day. 39. Wake up this morning to the cool smell of the morning sun and flowers. I can imagine you smile when you read this Good Morning text. 40. Every morning is special with you. I can’t wait to get up and spend every day with the one I love. I love you and will always do. Good Morning My Dear. 41. Each morning I open my eyes to the new day of nature, the thought of you fill my heart. Just like the morning coffee, you warm me inside in the morning. 42. I am sending you a text from my heart. Just one to connect with you. To keep a beautiful smile on your face this morning, till we both meet today. 43. Good morning to the one person that rocks my world, to the one that makes my temperature rise. To the one I love. Good Morning My Love. 44. I have been after the wrong dreams till I met you. You have remained the perfect dream I have ever chased. I will always love you. 45. Open your beautiful eyes to the Natural morning breeze, morning sunshine and sweet smell of nature. All are waiting for an angel to wake. 46. A morning is incomplete without the sunrise, so is a special day like this incomplete without you. I can’t wait to see you today. Good morning love. 47. You are the best thing in the world. You shine and bring light into my life. I will always adore you on seeing the ray of light every morning. 48. Everything feels perfect and all right when you are involved. I found my life being easy since you came my way. I love you more every blessed morning. 49. My love for you comes with the sunrise and gets stronger on its dawn. Every new morning is another opportunity to love someone as special as you. 50. I had a nice night rest because you were on my mind, I feel complete each morning I open my eyes. You are a dream come true. I love you very much each time I open my eyes. 51. This morning isn’t special if you are yet to say hello to the people you love. So now, I say hello to you and pray you have a blissful day ahead. 52. The day just started and I’m sending this message because I can’t start a day without thinking of you. 53. Looking at the way the sun rises. Its ray of light will remain the reminder of hope. Welcome to a brand new day. Good morning. 54. Always acknowledge the day’s blessings and forget its troubles. 55. Kick off your days with a beautiful smile, it doesn’t just make your day better, it makes mine as well. 56. Honey, always know that contentment is not fulfillment of all your wishes but the appreciation of what life gives you. 57. I pray to God to allow his angels carry you on their wings, all through the day and protect you for me. 58. As you step into a new day, handle everything gently and if things go wrong, don’t go blue, just say a little prayer and be strong. 59. Start your morning counting all the blessing you got from God and pray for more to come. Have a great morning and a bright day ahead. 60. Since God knows how to make a bad day look good, wake up and say ‘God, be my guild’ then start your day. 61. Always thank God for the new day, he cares for you just the same way I care for you. Have a nice day. 62. Here is a new day, begin it with a light heart, let all your worries be set aside. 63. If I can’t tell you ‘I love you’ today. Can I do that tomorrow or the days ahead? Because I will always love you forever. Good morning. 64. Here is a little exercise, JUST OBEY, put your left hand over your right shoulder and put the right one over to your left shoulder. I just gave you a Good Morning Hug. 65. I’m so glad to have someone special like you. So this is my simple hello. Have a great day and have me in your heart always. 66. Always humble yourself like the sun set and grow daily like the sunrise. That’s why we have special mornings like this to say hello to you. 67. As you awake to this bright morning, take your worries to the garbage box and have a worry free day. 68. As every sunset tell us, of a day less to live. Look up to the sunrise, which gives us a whole new day to hope and be happy. 69. Every new day is a step closer to your dreams. Explore the new chances to grow, new beauty to see, new plans to pursue your goals. 70. Each morning I greet you good morning, there is this silent message saying that you were on my mind when I woke up. Wishing you a blissful day. 72. A day started with a smile is like a sunny day because a smile is simply an expression, letting people know that they’re accepted and appreciated. 73. Started today by putting all your problems and troubles aside. Keep the day running by counting your blessings. 74. Smile this morning, because you do not know who your smile brightens up. 75. I’ll be your best friend as you start today. Ill be praying for you as you take all your issues. Ill be invisibly beside you as you have a wonderful day. In the morning be someone with a big broad smile. Try to be happy all the while you breath. 77. A fresh morning should be started with a light heart, set your worries aside and smile for a moment. 78. A times, you’re to see behind life’s imperfections. Be happy that everything isn’t right but you’re doing just fine. 79. Have a great day by hoping, believing and loving. That’s the tools to a productive day. 80. Tomorrow’s future are crafted by today’s activities. So wake up this morning and take charge. 81. Even if the sunset reminds us of aa day less to live; the sunrise is there for us to hope have a blessed morning. 82. Only someone special like you would see that a new day brings the chances to grow and plans to achieve our goals. Take this chance and have a good morning. 83. A pleasant morning to you. This is a step towards your dreams. 84. You have this beautiful morning as an opportunity to find the creator’s extra ordinary love. Always thank him for giving you another day to live. 85. To have a fruitful reward, there is a sacrifice for every failure, there is always a second chance. 86. Life has its test. Its road is never smooth forever, likewise its tests, which passes away like the clouds. 87. True happiness isn’t found easily, but when you find it, keep it safe. For it is a dream of every human to have one. 88. Have you noticed this? Good friends are like fine mornings. You share few hours with them during the day knowing they will be there tomorrow, the next and forever. 89. The road to success isn’t as large for two feet to stand on at a time, but strong enough to hold each step you take forward. 90. There isn’t the guarantee of a life filled with beautiful sunshine and no storm, but there is a guarantee of going through that storm successfully. 91. This morning, you’re like the carpenter, because you owe the duty of constructing your life according to the plan of the creator. 92. Everyday haas its task. Don’t be afraid of jumping into each task and giving your best. That’s why we exist at first. 93. All you need this morning is filling of your life with joy, blessing your heart with love and comforting soul, filled with peace. 94. You grow when you grace each day with your eyes opened to beauty, your mind opened to change and your heart opened to love. 95. You have second changes to get better, an example is tomorrow. You still have it, even if today isn’t perfect. 96. You’re wonderful according to what you have, so give out a smile to someone today. 97. Its your heart which defines your best. Make the best use of your heart and have a divined day. 98. Quick lesson.. Take actions to correct yesterday’s mistakes. Enjoy the present moment and prepare for tomorrow. 99. As the sunrises, let yesterday handle its burden. Make out the best form today. 100. Always understand that life is a road filled with turns. Learn to enjoy the ride no matter how uncomfortable it is. For every rough turns, there is a blessing. Good morning.. Remember that a Good morning text message from you to your loved ones every morning can add positivity in their life as well as yours. So always check out this best cute good morning text messages to be sent every morning. Very nice words! I often send to my girlfriend good morning text. I take these phrases on the web site http://sweetytextmessages.com . 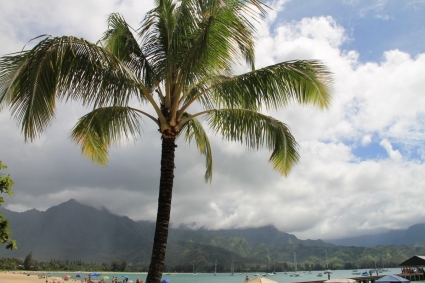 Awesome Article, It is written in easy and simple understandable format. Classic Article. It is written in simple and understandable language and provided information about online casino reviews. Excellent Website. It looks really professional and has an attractive user interface. It offers the vital information about Online Gambling. Here in this site unique information is provided about Online Gambling. Amazing post, great written and come with attractive design I would like to look more posts like this. Incredible points. Great arguments. Keep it up the great work.